Also serves as Fundraising Chair. Heather also serves with the Felida PTA as the Screen Free Week Chair and is a member at Eisenhower Elementary PTA. Also serves as WSPTA Vice President. 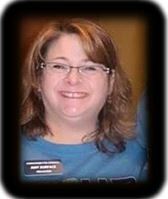 Also serves as Region 3 Director, and is a member at Vancouver School of Arts & Academics PTSA and Thomas Jefferson Middle School PTSA. is a non-profit 501(c)3 organization that serves all children without regard to physical location of school attendance. It was chartered by the Washington State PTA in October, 1980. This PTA is registered with the WA Secretary of State under the Charitable Solicitations Act.